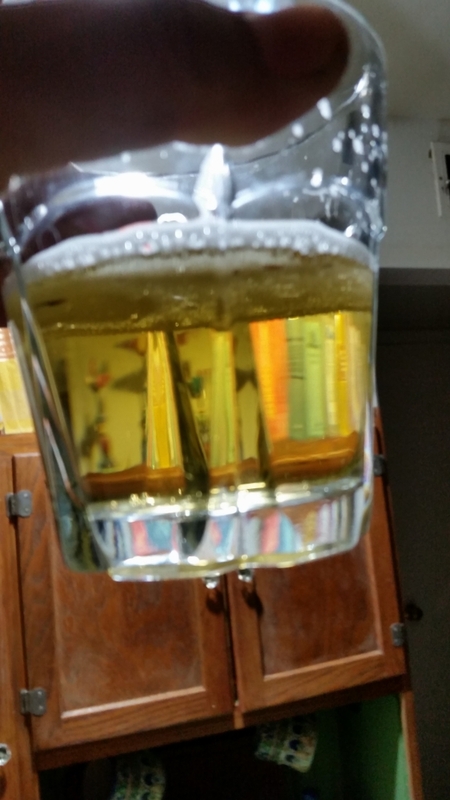 We affectionally call it “la guera,” and it isn’t an easy beer to make. There’s no room to hide a problem, as every little part of the beer is exposed. Not to brag, but we nailed it. When the people at the Bisbee Coalition for the Homeless asked us about pouring at the 2nd Annual Bisbee Mariachi Festival in Bisbee City Park tomorrow, it was a no-brainer. Of course! It’s a good cause, good people, good music, and a good opportunity to share the newest member of our beer lineup at a cool festival. When they asked about whether we’d be willing to make Micheladas with our beer, it was a tougher decision. For those of you who don’t live someplace where Micheladas, or “bloody beers,” as some call them, are popular, it probably sounds gross. 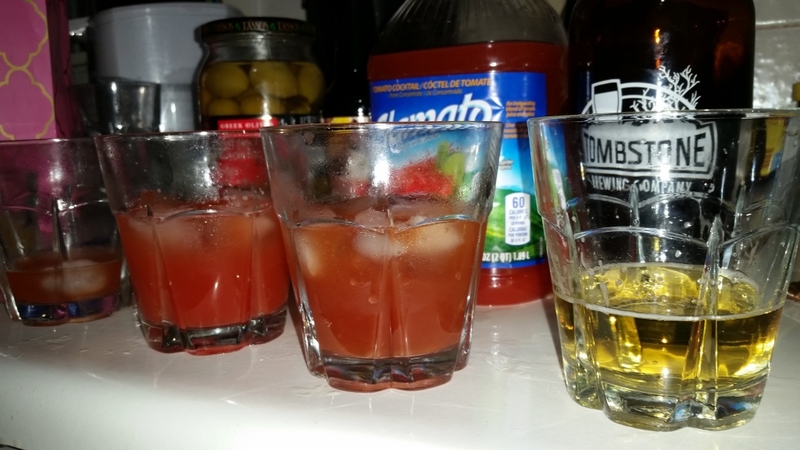 If you think of it as a bloody mary with beer instead of vodka, it might be a bit more palatable. 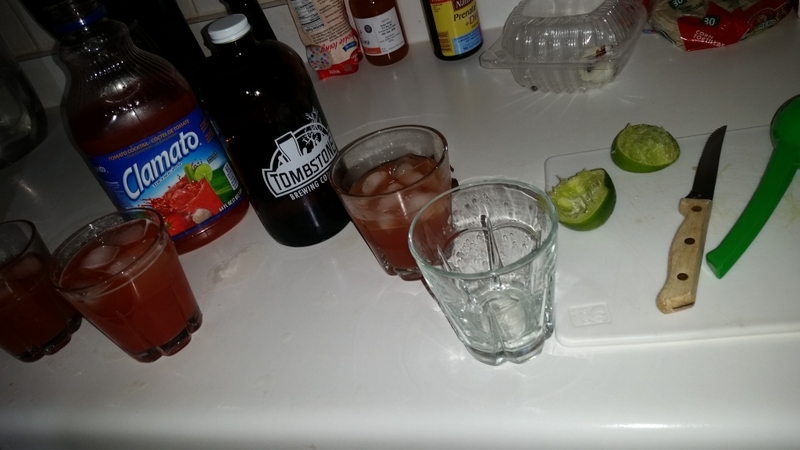 Basically, you mix lime and Worcestershire or soy sauce, maybe some hot sauce, and then you add Clamato and ice and top off with beer. It’s served with a rim of chile and salt, usually Tajín®. My wife first introduced me to the idea, and I found it pretty offensive at first. An ambitious homebrewer prone to obsessing over every little aspect of a beer, it just seemed wrong to me to use beer as a mixer. Eventually, I had some good ones and started to warm up to the drink. At first, I’d try my wife’s to marvel at the grossness. At some point, I started enjoying the occasional taste of one. I’m still not sure how I feel about the concept overall, however, but I’m no longer skeptical of people who enjoy them. I bit the bullet and agreed to make Micheladas with our blonde at the Mariachi Festival. We eventually settled on a winner, and then I proceeded to drink the blonde unadulterated. The winner was solid, though. Short of just drinking our awesome blonde, it’s hard to imagine anything better. 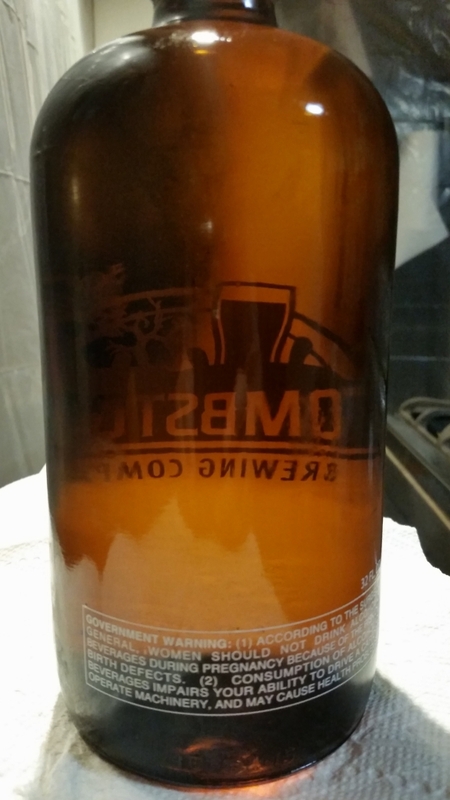 So what Tombstone Brewing Company did was painstaking build a brewing system capable of creating the perfect blonde. The unbelievably talented brewmaster trained in Germany. He used ultra-soft brewing water almost completely devoid of minerals. He used the best German malts and hit the mash temperature just where it should be for the perfect body. Our steam system maintained the perfect pale golden color. And we pitched just the right amount of a yeast at just the right temperature and got all sorts of delicate, beautiful floral and fruity notes. Our carbonation is spot on. So what are we going to do with this masterpiece? We’re going to serve it on ice in a glass with a chile-salt rim a bunch of other stuff added to it, clam juice included. What we’ve done might make Weedy cringe, but it’ll be a pretty darn awesome Michelada. We’ll also be serving it just with lime and salt and, of course, by itself. We’ll have our English Premium Ale on tap too. Stop by and say hi if you’re at the festival. Presta Coffee and Brandy Alexander Oak-Fermented Stouts! “Beer Nerd” – Our New Bourbon Barrel Stout Collaboration With GCM!